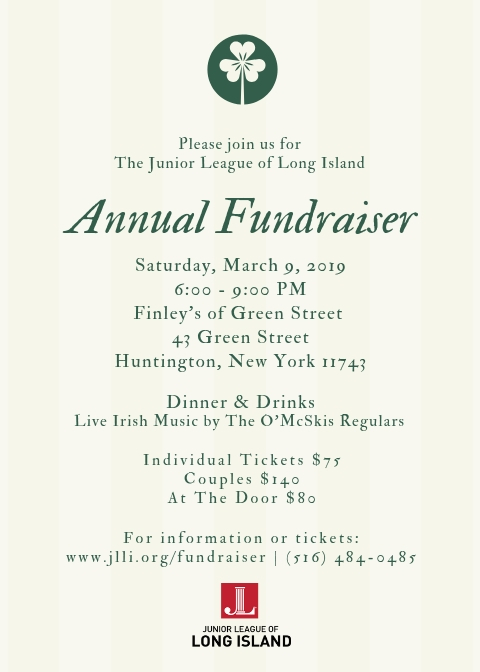 Please join us for a fun evening benefitting JLLI! Purchase event tickets, raffle tickets and 50/50 tickets online now! For a list of the fabulous raffle items, click here. If you are unable to attend but would like to make a donation, you may make a gift online to support JLLI!